If you’re looking for an easy to use, highly portable storage solution, look no more. 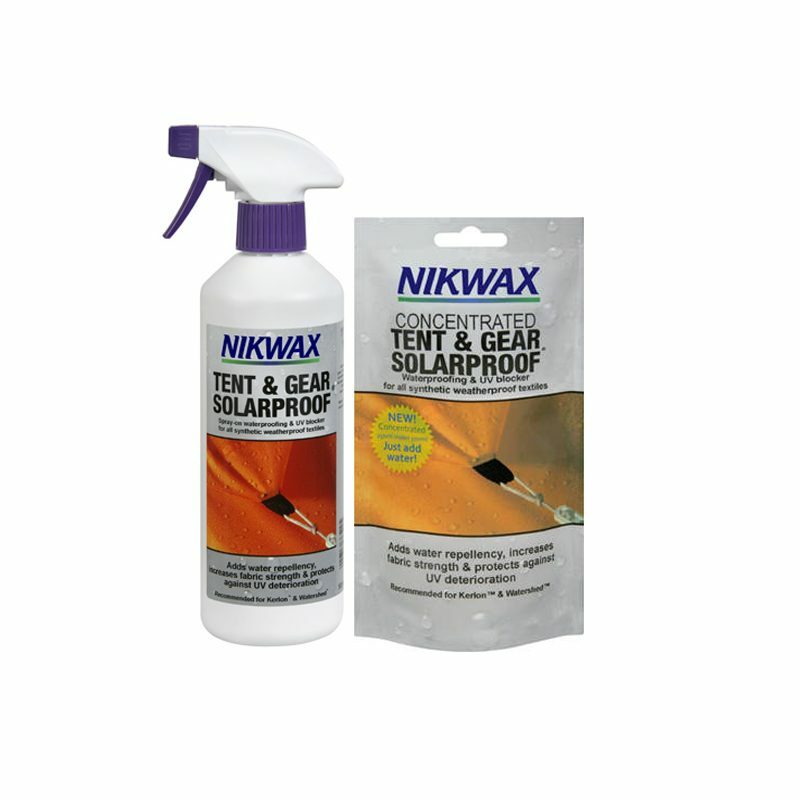 We have a variety of products that serve to keep your equipment out of sight, dry and protected. 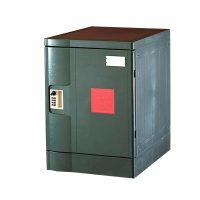 The HideyHood is one of our many mobile storage solutions that we highly recommend! 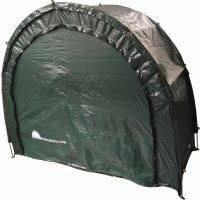 The HideyHoods are one of our more recent outdoor storage product innovations. 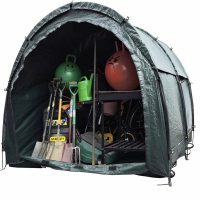 Whereas the HideyHood 180º is a free standing waterproof outdoor storage dome, the HideyHood 90º attaches to a wall or fence. 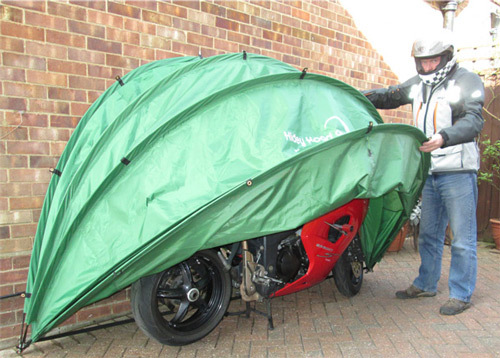 OK there are a few bikes which have windscreens and huge panniers that won’t fit inside, but all those we tried did! 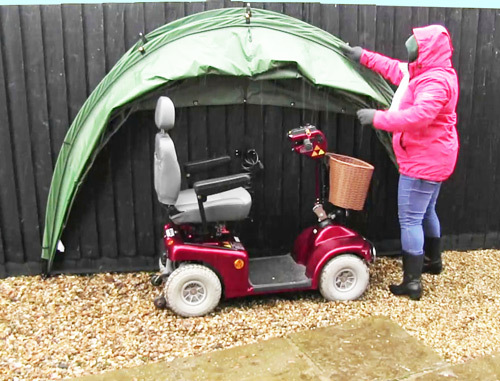 Don’t want to, or can’t mess about with a fitted cover for your mobility scooter. 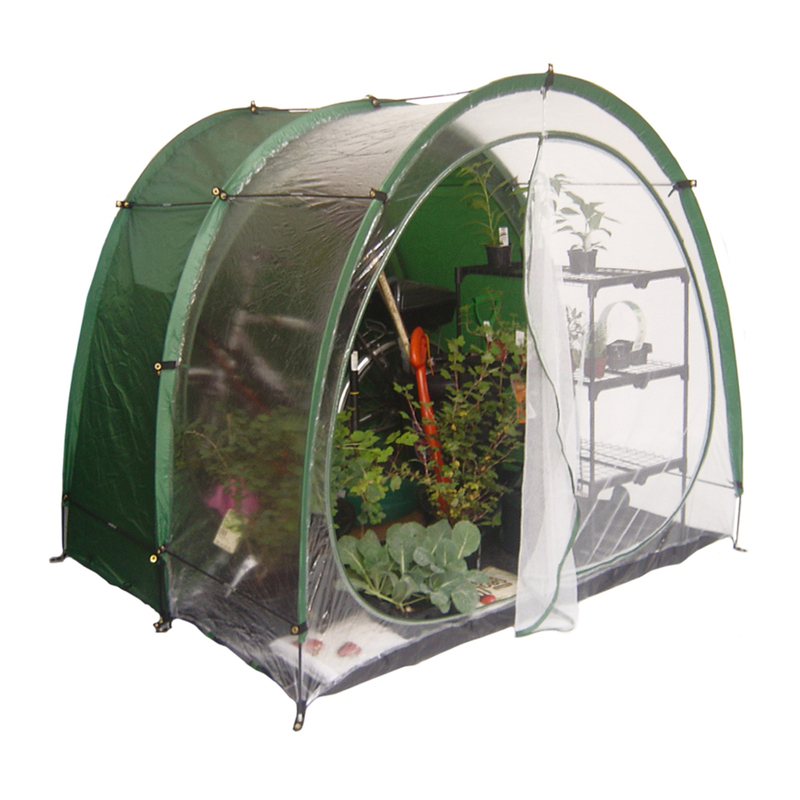 The HideyHood 90º just lifts up to get in or out and simply then drops down to keep it dry. 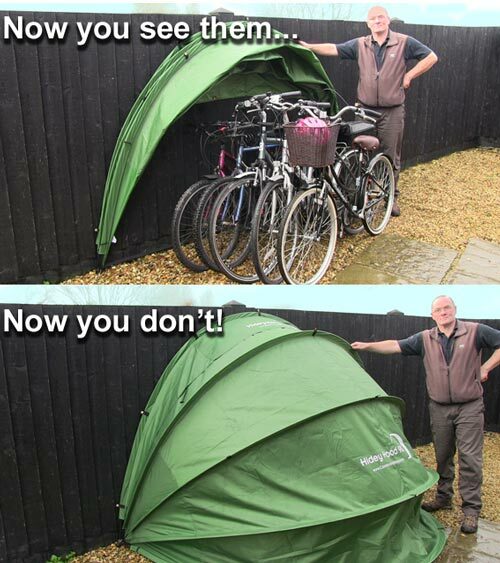 Got too many bikes and no storage space in the shed or garage for them. 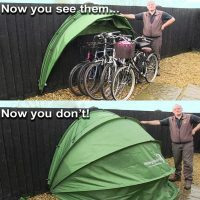 The HideyHood 90º is plenty big enough for 5 full size cycles (and probably more, but we could only rustle up five!). Easily enough room for 5 full size bikes. 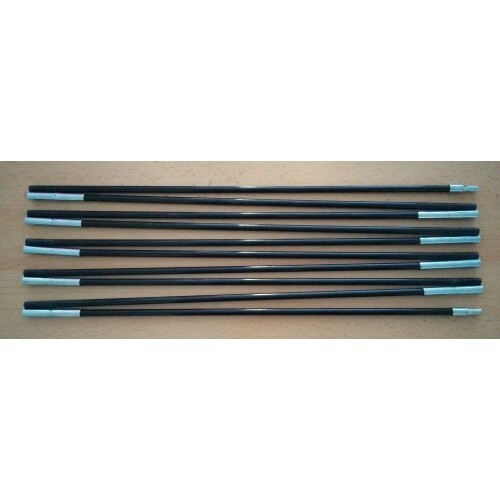 It’s 187 cm high, the same front to back and 250 cm wide. What will you keep in yours? 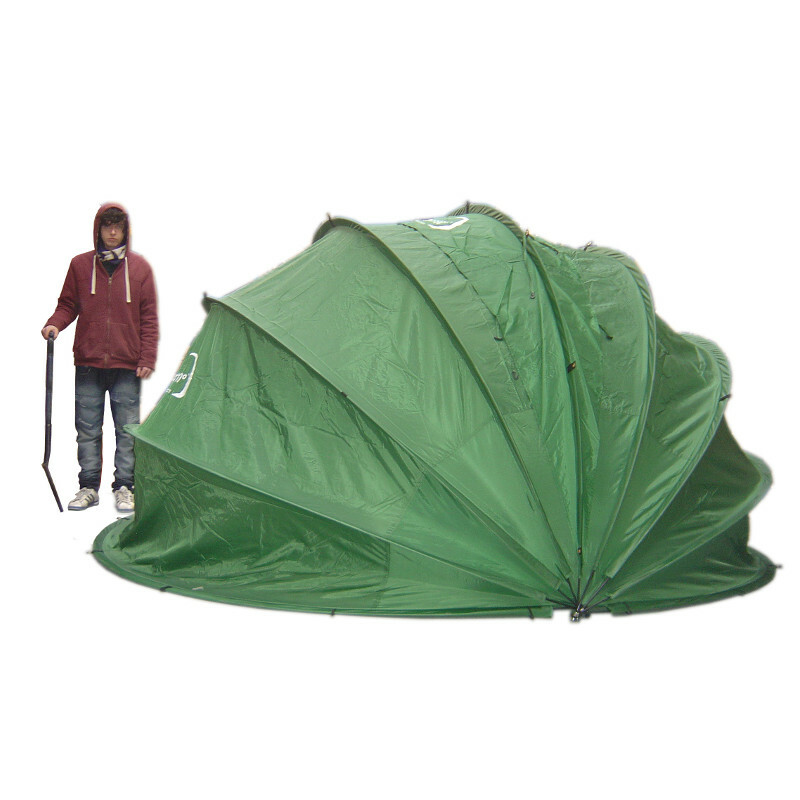 If the 90º is not big enough for you… how about the HideyHood 180º. 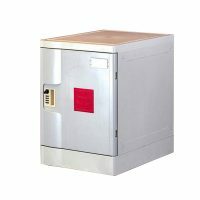 It’s free standing and offers twice the storage capacity. Plenty big enough for a Polaris Trail Boss quadbike. 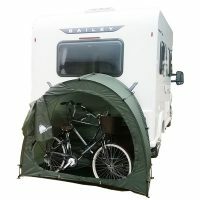 In fact, if you’re as good a rider as me, you could get two in there. The HideyHood 180 is literally twice the size of the 90. 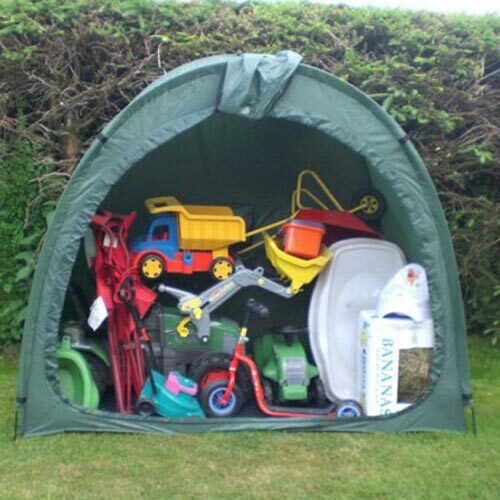 Originally designed for cycle storage and sold as the “Bike Cave”, the Tidy Tent has been hijacked for a myriad of other uses; outdoor furniture, toys, BBQ’s, gardening equipment, lawnmowers – in fact any outdoor bits you haven’t got room for. 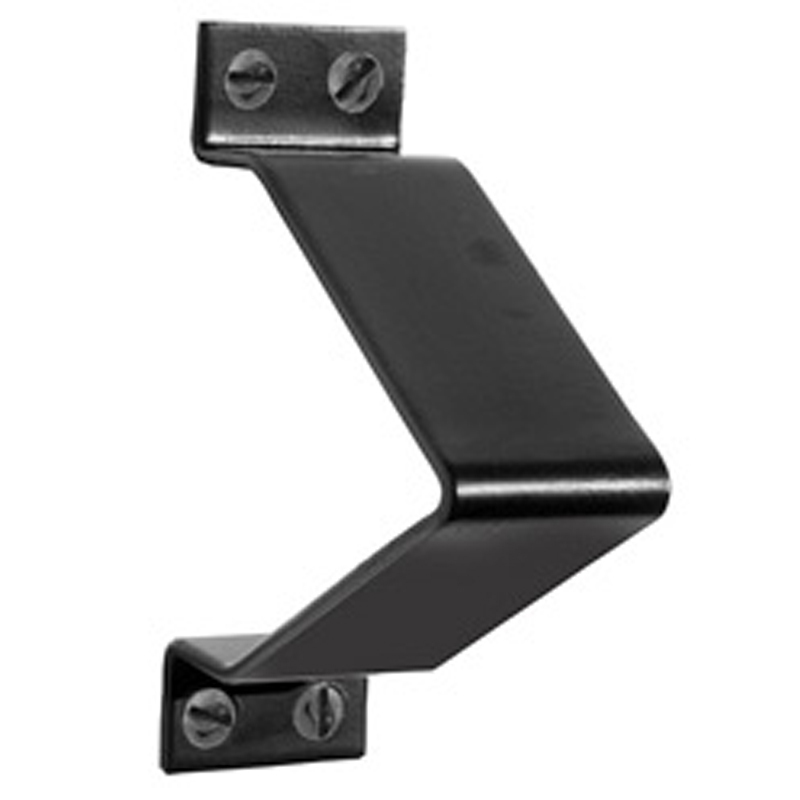 You can use it free standing or fixed to a wall. 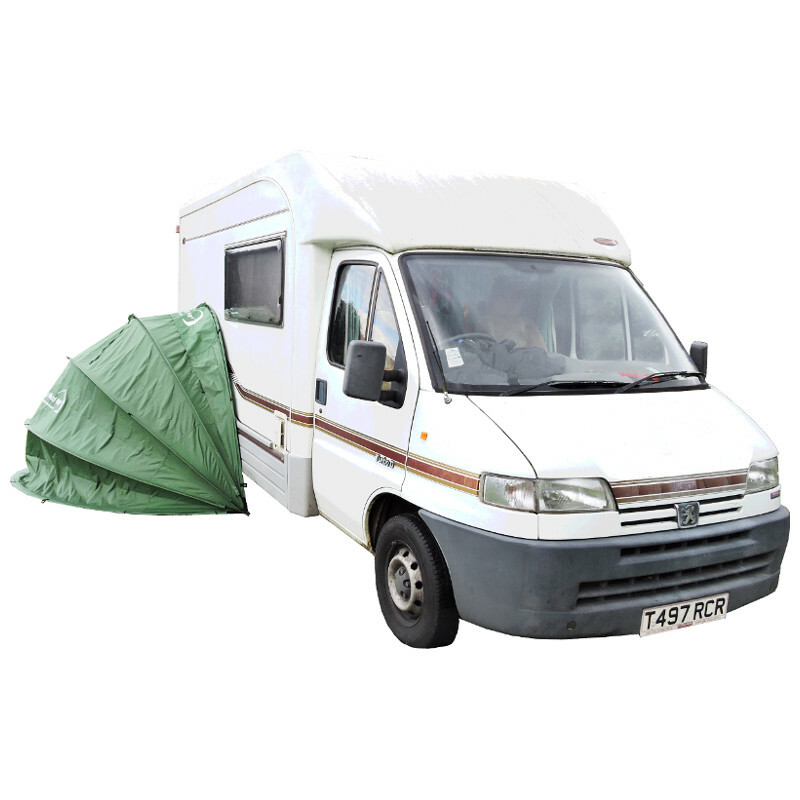 If you want more storage space you can un-zip the rear door panel of a Tidy Tent Xtra extension unit and add on another module. 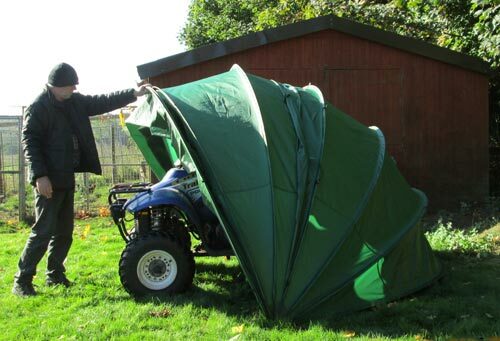 If you don’t need it you can fold it away and if it’s in the wrong place, pick it up and move it. 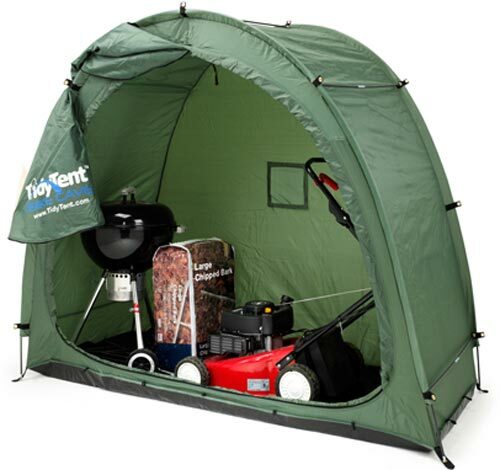 Try that with a traditional garden shed! 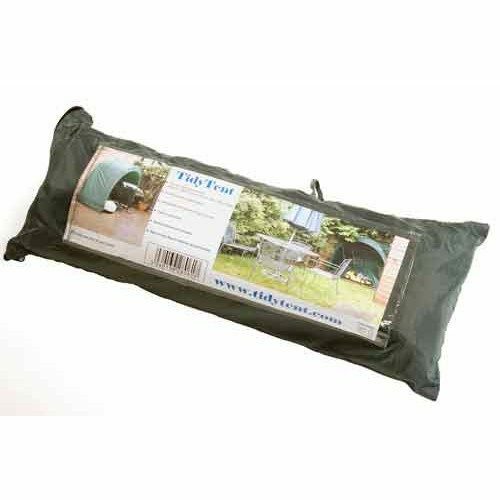 Tidy Tent can be used free standing or fixed to your garden fence. Need more space? 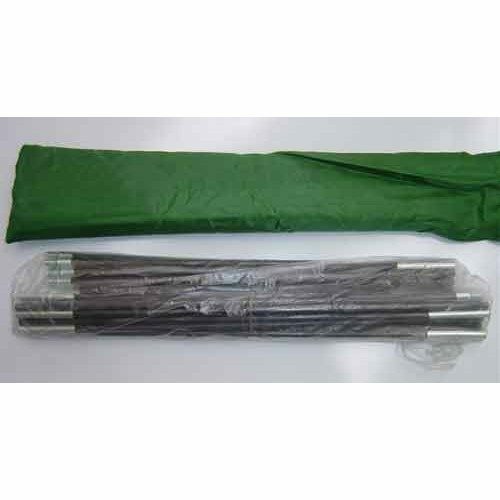 Tidy Tent Xtra is modular. Just zip on another one.